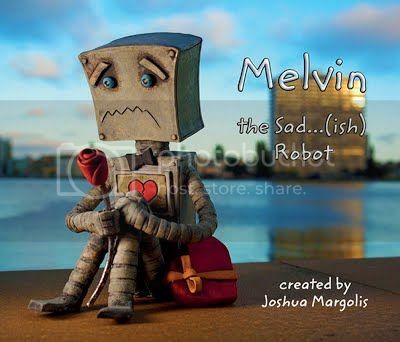 Melvin is known for being a sad…(ish) robot. But, as he finds new friends and experiences, he may just figure out how to be happy…(ish). Joshua Margolis is a sculptor, photographer, and author from Oakland, Ca. His work has been featured in many galleries and studios. He was the de Young Fine Arts Museum artist in residence for the month of July 2014, where he brought his monsters and robots project to sculpted life. Melvin the Sad…(ish) Robot is the first story of its kind to incorporate Joshua ceramic sculptures into a real world setting, creating a unique visual narrative.